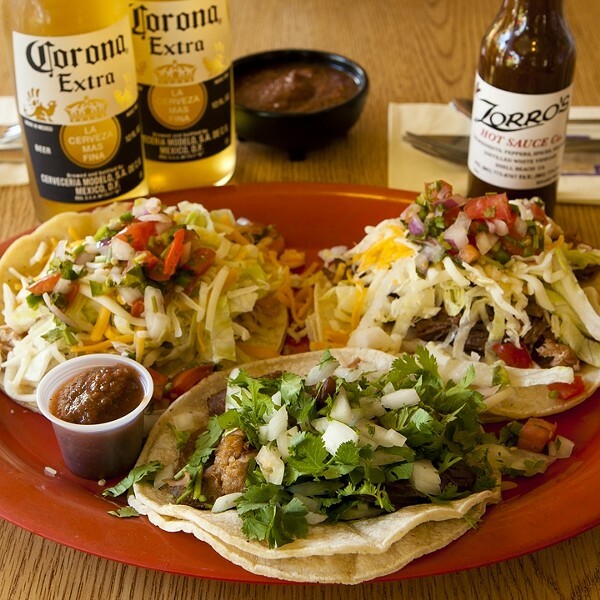 TRY ’EM : The delicious tacos at Zorro’s satisfy during happy hour. At $2 each, they pair well with a cold Corona and fresh chips and salsa. EAT FOR A CAUSE: Friday, Aug. 27, marks Zorro’s Café & Cantina’s fundraiser for Kinsley Thomas Wong. Dining there will help a very good cause: Wong, a kite-boarder and regular patron of the popular eatery, was recently injured in a severe kite-boarding accident. He and his wife are expecting a child, but he’s temporarily unable to work. Zorro’s is raising funds to help him and his family. There will also be an auction; lots include an overnight stay at the Old Edna Bed & Breakfast. A portion of the proceeds from the entire day’s orders at Zorro’s will also be donated. If you’d like to contribute, contact Bailee Landrigan at 709-5043. You can make a difference simply by planning your breakfast, lunch, or dinner at Zorro’s Café & Cantina. It’s their version of happy hour, when you can order any of their tacos—halibut, carnitas, beef, or chicken—for only $2 each, and you can wash them down with a cool $2 Corona. Honestly, it was shocking to get such tasty tacos, an icy cold Corona with lime, and complimentary warm corn chips and housemade salsa for so little. My order of halibut and carnitas tacos and a Corona—only $6—plus the fresh chips was certainly was enough to satisfy my appetite. You can order a side of beans and rice that’s large enough to share if you’re hungry for a full meal. I’ve been craving those addictive carnitas tacos, which I topped with the housemade salsa, ever since. I found out about Tacorona from a newcomer at Kennedy Fitness Center who recently relocated from the Bay Area to the Central Coast. “Funny,” I thought to myself, “that I never heard anything about it before.” I dined there incognito several times before finally introducing myself. Zorro’s owner, Cindy Foresee, a native of Pismo Beach/Shell Beach, said this happy hour attracted many new customers who are regulars now. “Tacorona really spurred business, and we’re outgrowing our little space. I feel I have a little halo over the place,” she said proudly. Her restaurant has been so busy, she’s making plans to expand both her kitchen and patio dining area. 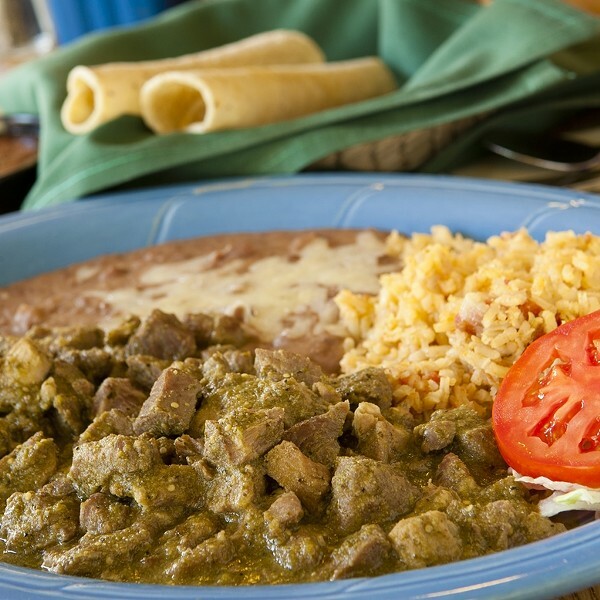 I tasted her delicious pork chile verde at the Taste of Pismo event last April, and loved it. That inspired my first visit to order the chile verde plate ($12.99) with melt-in-your-mouth chunks of pork, cheese, and an excellent green chile sauce. My husband Dan ordered the delightful salmon salad ($9.99), a generous portion with a delicious, fresh green garden salad. During the interview, Foresee told me: “I don’t like farmed fish; I prefer fresh. That’s why it tastes so good.” She buys Coho salmon that’s fresh-frozen, which means it hasn’t been sitting in freezers for months. The eatery also made its own corn tortillas until recently, when Foresee switched to a Santa Maria producer who makes them fresh daily. They’ve been so busy, the cooks don’t have the time anymore to make corn tortillas, too. After I saw the tiny kitchen and walk-in refrigerator, it was apparent to me that the cooks need the kitchen expanded first. STOP BY : A lot of curious first-timers who stopped by Zorro’s in Shell Beach for the Tacorona happy hour special have become regulars. She started in the industry 25 years ago working at Trader Nick’s and McLintocks. While at the latter, she started working in the restaurant that would become Zorro’s eight years later. 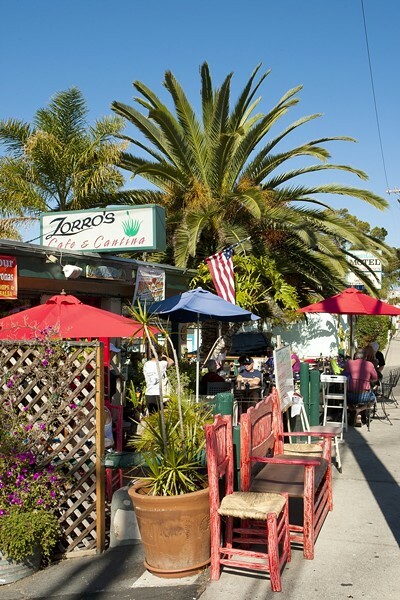 MAKE TIME FOR TACOS: Zorro’s Café & Cantina is located at 927 Shell Beach Road in Shell Beach. For more information, call 773-9676. She soon became a partner with Seasun, and two years later she was leasing the place from the Cravens family. She renamed it Zorro’s—though not for the Mexican legend. This Zorro is a blue merle Australian shepherd she and her husband Steve Landrigan brought into the family. She added the “café and cantina” designation because the menu offers both American and Mexican dishes. At my last visit, I dined with Foresee, and we shared a few dishes she wanted me to taste. 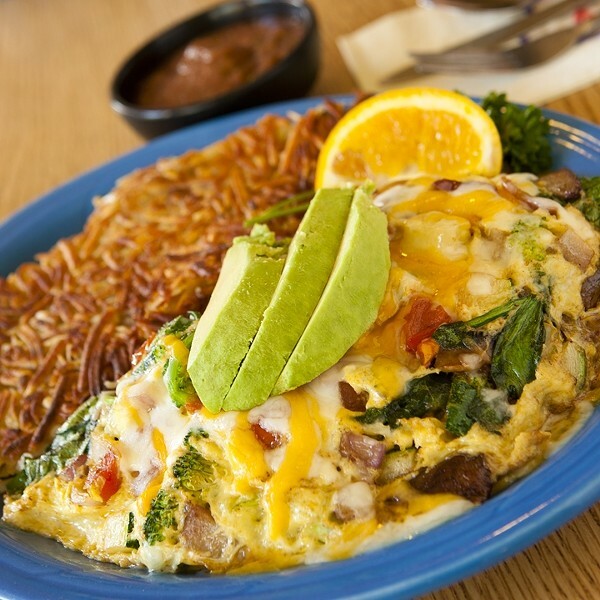 The vegetarian omelet ($9.79) was overflowing with fresh spinach, tomatoes, broccoli, onions, bell pepper, and cheese. I loved the crispy hash browns, perfectly done, that came with it. The chilaquiles ($8.99) features scrambled eggs with bell peppers, onions, tomatoes, crispy corn tortilla strips, and a Spanish sauce; it’s covered with cheese that melts over it. It’s decadent, like breakfast nachos. The chunky guacamole was wonderful with all of it. Foresee also offered the Zorro’s hot sauce, a special recipe created by Landrigan for the restaurant. We had the most popular item on the breakfast menu last, like dessert: the special French toast ($7.49). It offers up three thick slices of San Luis Sourdough, nicely souffléd from the egg batter dip, and is served with fresh strawberries, whipped cream, and real maple syrup. Zorro’s serves breakfast, lunch, and dinner daily. Foresee pointed out that guests can substitute anything they want. If you don’t like cheddar cheese, they’ll give you feta—or whatever.